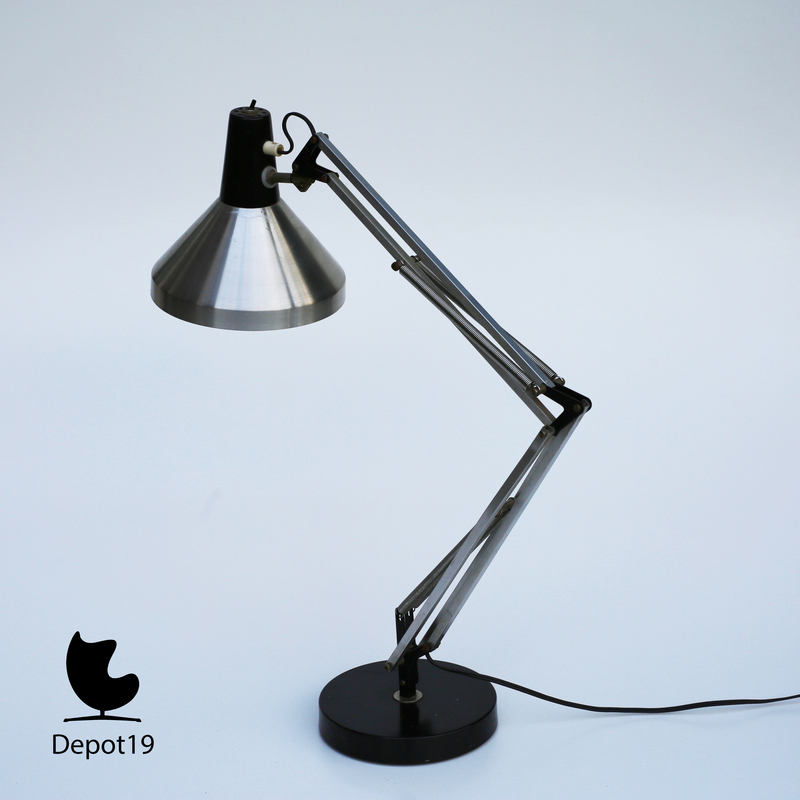 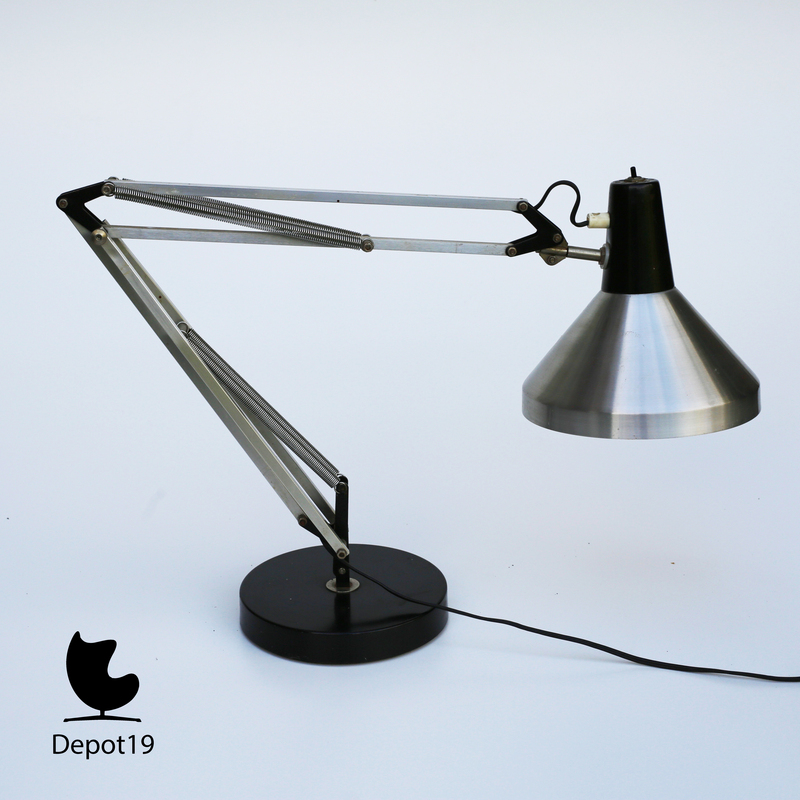 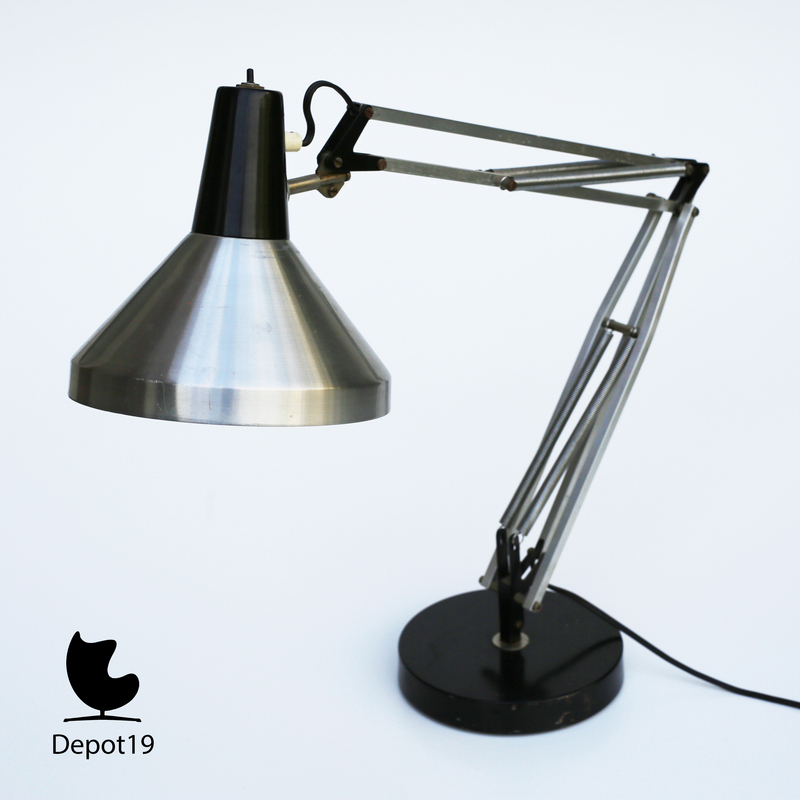 Old desk lamp manufactured by Hala Zeist. 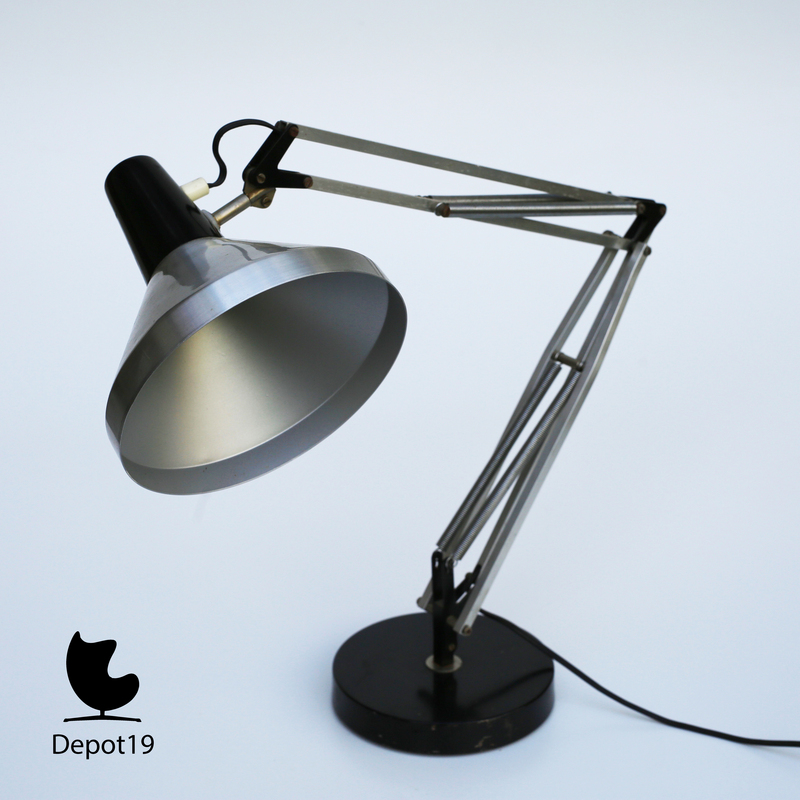 The lamp was manufactured in the 60s. 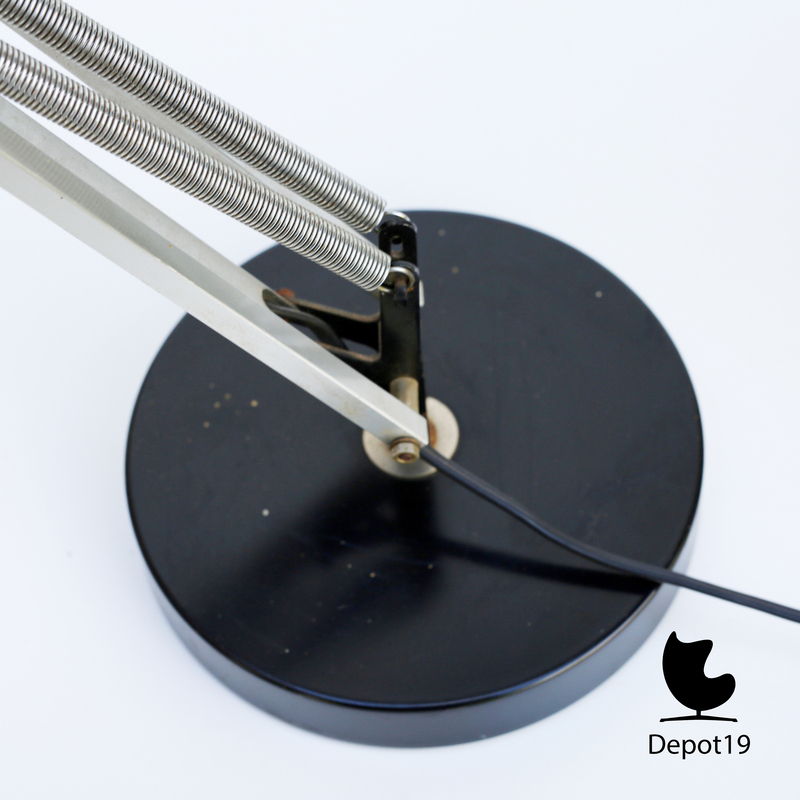 The Heavy base is black, the cap is made of (brushed) aluminum and a black lacquer finish. 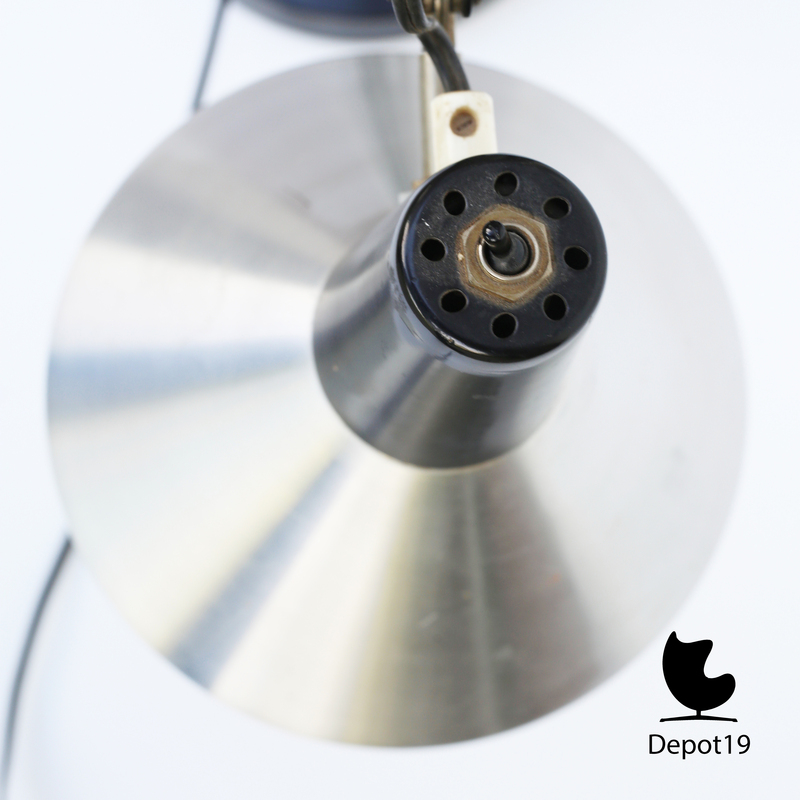 On the top of the cap is an on-off switch.